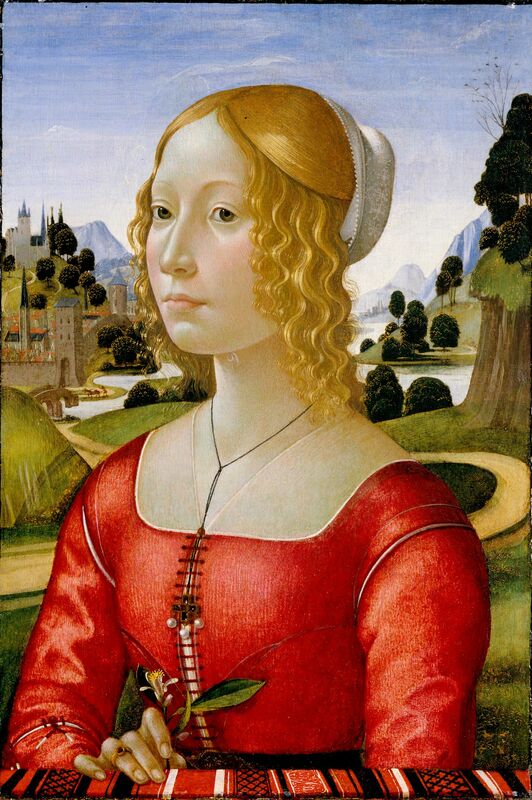 Domenico Ghirlandaio. Portrait of a Lady, ca. 1490. Tempera and oil on panel. Sterling and Francine Clark Art Institute, Williamstown, MA. Provenance reseach is complex and multi-faceted. "Provenance" (from the French provenir, "to come from") refers to the chronology of an object's ownership, custody, or location, traced from the artist's studio to the present day: who commissioned it, who has owned it, where and when and how has it changed hands. In some cases, provenance may be used to confirm the time period and even the artist of a work. establish the legitimate owner of a work of art. understand the history of the object for purposes of display, conservation and cultural importance. The resources listed below are strong starting points for provenance research. See the Clark library guides listed at the bottom of the box for further information and resources. This scholarly, thorough, well-organized library guide from the Yale University Library, created by Kraig Binkowski, offers a wealth of strategies and tools for provenance research. Many if not most of the resources he includes are also available at the Clark library. The Project for the Study of Collecting and Provenance (PSCP) is an invaluable resource for researching the histories of European works of art, with databases containing over 1.5 million records about sales and auction catalogues, collectors, archival inventories, and dealer stock books. Also includes more than 2000 German sales catalogues from 1930-1945. Coverage is 16th– 20th Century. Yeide, Nancy H., Konstantin Akinsha, and Amy L. Walsch. The AAM Guide to Provenance Research. Washington, DC: American Association of Museums, 2001. Indispensable guide to doing provenance research for works of fine art, especially in the area of holocaust-era provenance work. Explains in detail how to find "names of owners, places and dates of ownership, and methods of transfer between owners," whether owners are individuals or institutions. Check especially the chapter on library research. Appendices include valuable bibliographies on the history of collecting and collectors, biographical research resources, dealers and dealers' memoirs, dealer archives and locations, auction sales and exhibition resources, and library and photo archives.